Brandon Stanton, the man who created the popular Humans of New York blog and books depicting portraits of life and individuals in New York City, will be this yearâ€™s Student Government Horton Distinguished Speaker during Rochester Institute of Technologyâ€™s Brick City Homecoming &amp; Family Weekend, Oct. 14-16. He started adding quotes and short stories of their lives, and millions of people began following his images and stories of everyday people. His first book, Humans of New York, was released in 2013 and was a bestseller for 45 weeks. 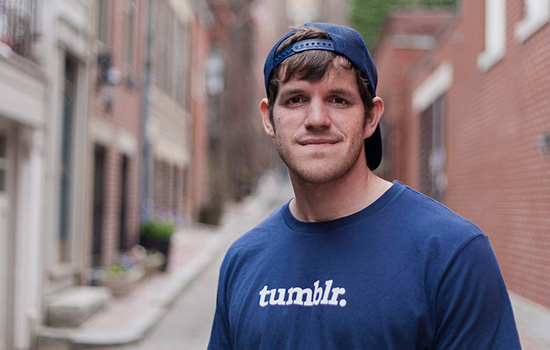 His second book, HONY: Stories, released last year, was a bestseller within two weeks. Delivering a commencement speech in May for New York University School of Professional Studies, he told graduates time is the most valuable resource in the world, and it shouldn’t be wasted. This year’s featured men’s hockey game is RIT vs. University of Connecticut, 7 p.m. Oct. 15, at Blue Cross Arena in downtown Rochester. All seating at Blue Cross Arena will be reserved, with no general admission. Two games with the RIT women’s hockey team are scheduled, for 3 p.m. Oct. 14 and noon Oct. 15, both at the Gene Polisseni Center versus Union. Other events and speakers are planned. Visit the Brick City Homecoming & Family Weekend website for updates.